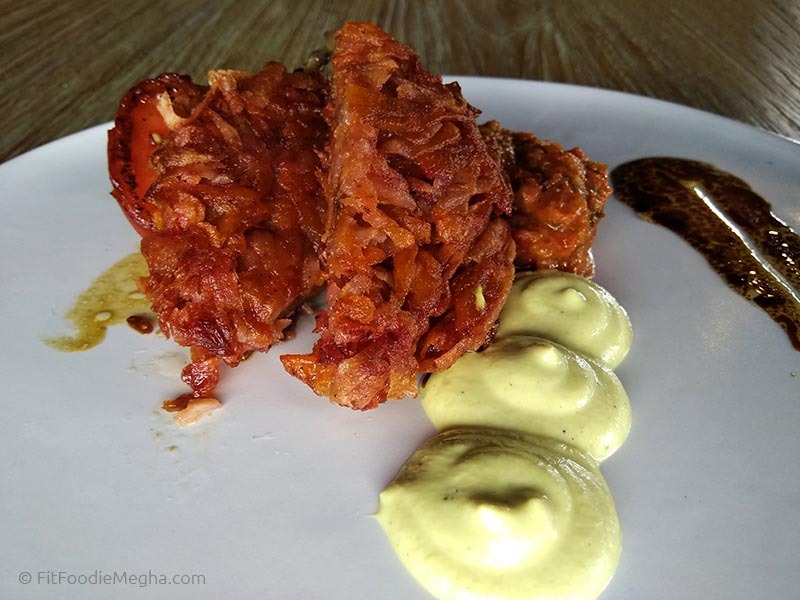 Fit Foodie Megha: Zest Ubud – Delicious Vegan Food — Reviewed! 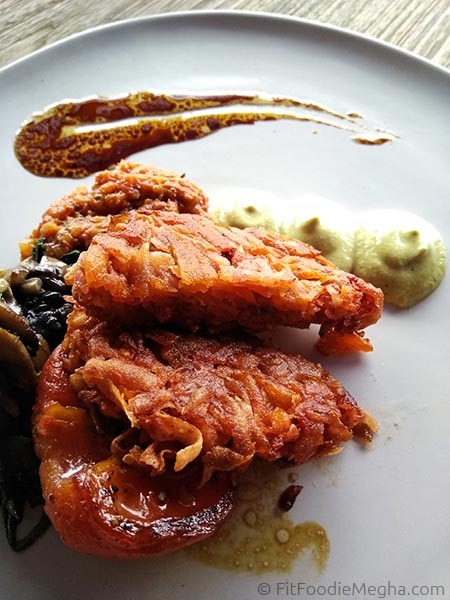 Ubud, Bali offers handful of good plant-based restaurants. In my 3 weeks of stay in March 2018, my precious find was the Zest restaurant which was in the same premises as of my stay. The newly-opened place headed by Chef Simon believes in the power of fresh, organic ingredients and is inspired by the global cuisine with locally-grown veggies, herbs. The farm-to-plate concept is truly executed here. Healthy, fresh vegetarian, raw & gluten-free dishes, exotic coffee that fit into all diets are part of the menu. Since, they have just launched the menu, it has limited scrumptious dishes only and for couple of days they were working on donations. Eat what you want and pay as per your will! Interiors are lit. Use of natural lights, hand-painted walls, soft, cosy couches with big tables, huge windows, bar, high stools and a big tree at the centre are some of the highlights of the Zest, Ubud. The view from the restaurant is beautiful. One can see rice-fields, vehicles and people strolling on the roads; one feels to be on the top of the world. I have been their twice and my favourite place was the peaceful, cosy corner. Warmly greeted by the kind and gentle Lina, the hostess, we were briefed about the place. Also, we met the head chef, Rina who introduced us to the concept behind the restaurant. The food menu ranges from Salads to wraps, small dishes and breakfast bowls. The drinks, especially coffee can be customised as per your preference of creamy, bittersweet or strong and rich. From Tea pots to coffee to fresh juices to smoothies the place has it all. But the sad part is currently their working hours are from 11 AM to 4 PM only. Meal started with the rich and creamy coconut milk based purest Hot Chocolate. It was pure indulgence. A must try. Next was the Bearded Mexican Wrap and the best part? The no-flour no-egg wraps were prepared with fermented red rice and local mungbeans. 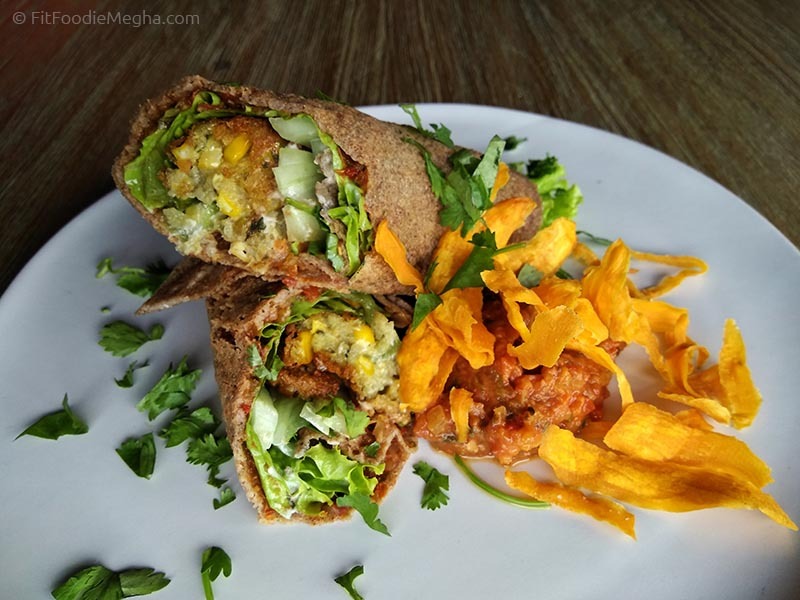 The wrap had crispy fried corn fritters, salsa, young papaya, cashew sour cream and lettuce. It had all the textures and flavours. A perfect, healthy meal. The portion size was generous too! From the breakfast bowls, I tried The Brit Abroad which was again a plate full of textures and deliciousness. Nicely grilled tomatoes, sauteed mushrooms, spinach, taro hashbrowns, red bean salsa, and curry mayo. What can go wrong with such an amazing combination of ingredients on the plate. Loved every bit of it however, hashbrowns were bit oily and can be worked upon. Also, The Green Smoothie Bowl was my all time favourite from the menu. The visually appealing bowl had the power punch of bananas, moringa, katuk leaves smoothie topped with the colorful dragon fruit, papaya, granola, shaved coconut, Java almonds and mint leaves. It was not only scrumptious but healthy too. A highly recommended dish! 30 second wok cooked crispy, crunchy, light salad was satisfying. The Bangkok Bang Salad was healthy with broccoli, cashew and had the punch of vibrant thai flavours with galangal and kaffir lime. For the extra crunch it was topped with corn fritters and rich paprika salad. A quick meal for all in hurry. Next was the crushed baby potatoes with mayo. The deep fried potatoes were slightly smashed and served on the bed of creamy, spicy mayo. Loved the crunch. This is from the sides so one need to order 2-3 per person.